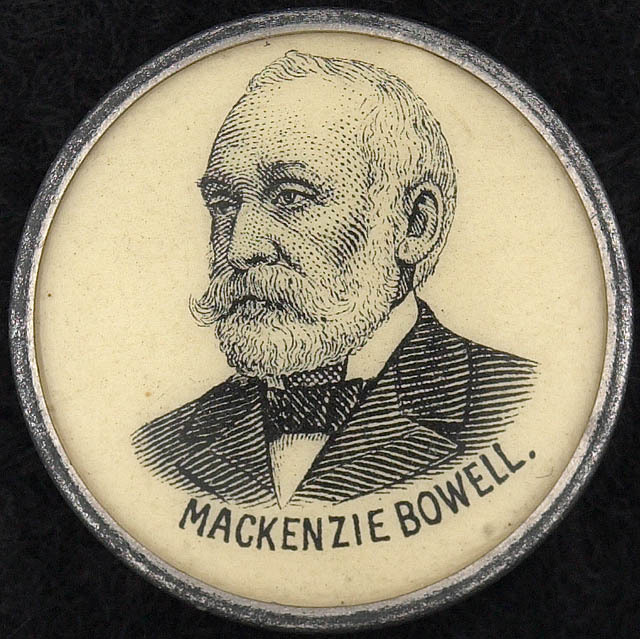 The Prime Minister Whose Name Is One Letter Away from Being "Sir Large Intestine"
Today’s installment of “who wants to be bored by a vain 90+ year old” brings us the 5th Canadian Prime Minister, Sir Mackenzie Bowell. Image credits: From from the Library and Archives Canada, copyright is expired. 4 Responses to The Prime Minister Whose Name Is One Letter Away from Being "Sir Large Intestine"
This stretch really is dullsville — only one more (Tupper, father of Confederation and Kim Campbell-esque sacrifical lamb for the Tories) until we get to more interesting PMs. Or at least other ones on our $ and who have schools and/or bases named after them. This is the one stretch of PMs that I have always had trouble remembering. Four of them, all serving for under 2 years, none of them doing too much. Boo, 1890s! This is totally a boring stretch… the 1890s were for suckers. I’ll bookmark your blog and check again here regularly. I am quite sure I will learn lots of new stuff right here! Good luck for the next!